The 408 workers at Memorial Hospital of Salem County who were just sent layoff notices have little reason to fear that they’re going to lose their jobs permanently, but they must be feeling some trepidation over what comes next. It’s not the first time they’ve been close to a rescue at troubled MHSC. If all goes as planned, the hospital will be sold to a non-profit offshoot of North Jersey-based Community Healthcare Associates. Hospital officials have said the layoff notices are a formality required before a transfer that the current owners and the new ones both hope to complete by the end of the year. It’s expected that most employees will be rehired once the 126-bed hospital changes hands. The notices, however, lay bare the dire state of affairs at the hospital. If it’s not sold to the newly formed CHA division, Salem County Hospital Corp., the only option is to shut it down and turn those notices into permanent layoffs. So say snippets of an application pending at the New Jersey State Health Planning Board. A public hearing on the plan took place in Salem City on Thursday evening. 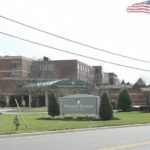 For the sake of everyone employed by the Mannington Township hospital and everyone it serves, it’s hoped that these developments mark the end of lengthy uncertainty about the future. News reports state that MHSC, even though it has downsized, is on pace to lose $22.6 million this year.